Itchingham "Itch" Lofte didn't mean to burn off his eyebrows. He also didn't mean to send his whole science class to the hospital with arsenic poisoning. When you take up a dangerous hobby like collecting elements from the periodic table, those things are inevitable. When Itch acquires a super radioactive rock, not yet discovered by scientists, he ends up in a harrowing adventure that makes his previous mishaps seem minor. The head of the science department confirms the rock is actually element number 126, one not ever seen before. It turns out scientists, as well as terrorist groups from all over the world, want the rock and the unsavory ones will stop at nothing to get it. With the help of his sister Chloe, female cousin Jack and even a beloved science teach, Itch races against death to make sure the new element does not fall in the wrong hands. When Itch tries to track down Cake, the element dealer he acquired the first rock from, he discovers the rock is not the only one. Unfortunately, there are seven more.The realization of the just how dangerous the element really is, gives Itch an urgency to keep it from those who want it. Itch exhibits an amazing level of maturity and moral courage, instantly elevating his status from science geek to reluctant hero. 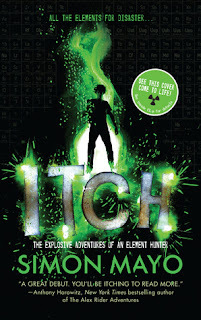 Simon Mayo's debut novel is one of the best adventures for middle schoolers I have read in years with an original premise and non-stop action that will have the reader on the edge of his seat. Strong female characters will appeal to girls as well. 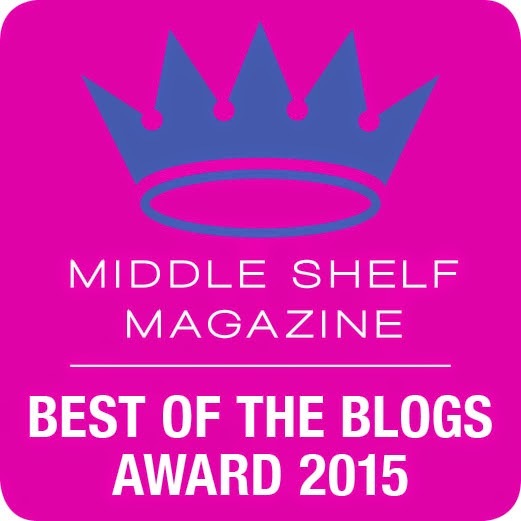 For ages 10-14 but overlaps into the young adult group. Who knew that the periodic table could be so exciting? Itch sounds like a great read, I know that my granddaughter would love it she loves science and this would be right up her ally with Itch's (Itchinham's) discovery she would enjoy it. It sounds like smart is definitely "in," thanks to novels like this one! I'm also glad to hear there is also a strong female character that my daughter might relate to!